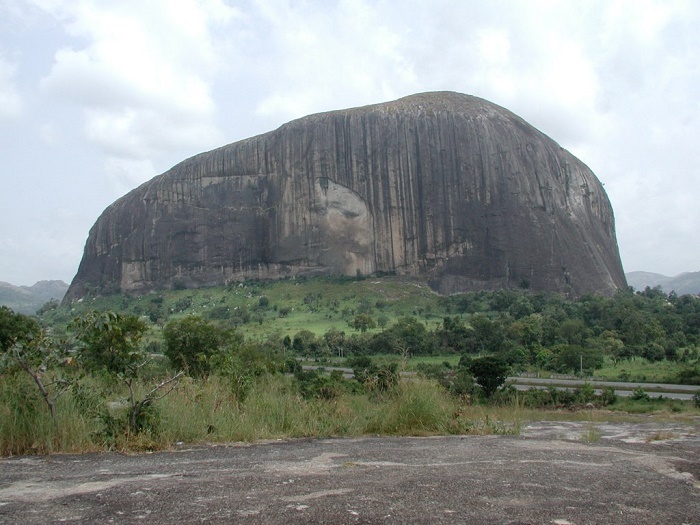 Zuma Rock is a large monolith, an igneous intrusion composed of gabbro and granodiorite that is located in Niger State, Nigeria. 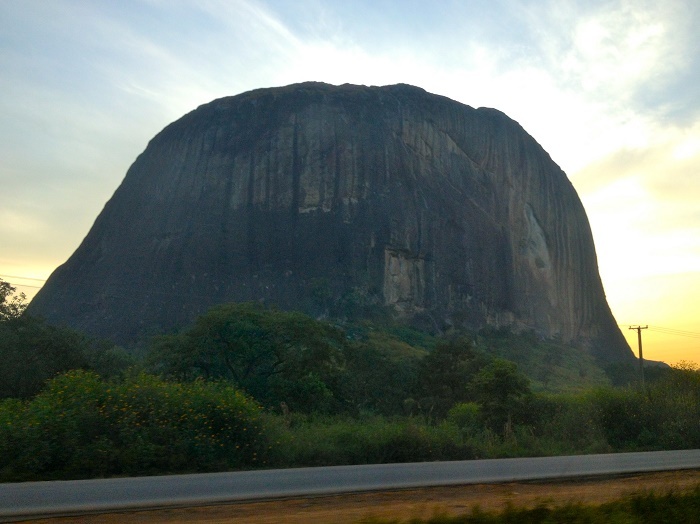 Rising imposingly from the flat topography of the surrounding area, this colossal granite monolith is hard to miss, with its position towering above the long highway into Abuja from Kaduna. 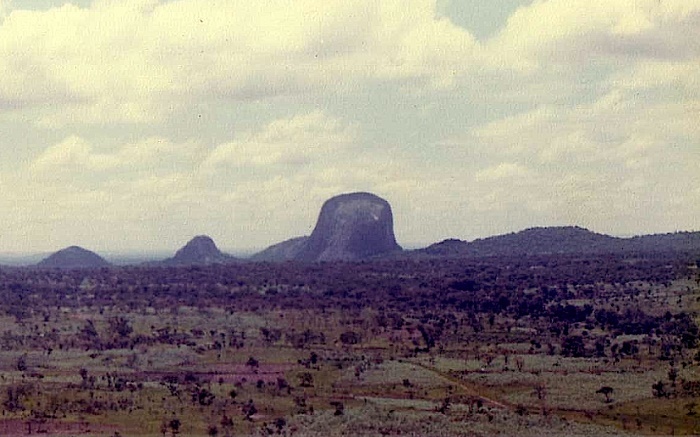 At 725 meters tall (2,379 ft) and around 3.1 km in circumference, the monolith looks more like a small mountain. 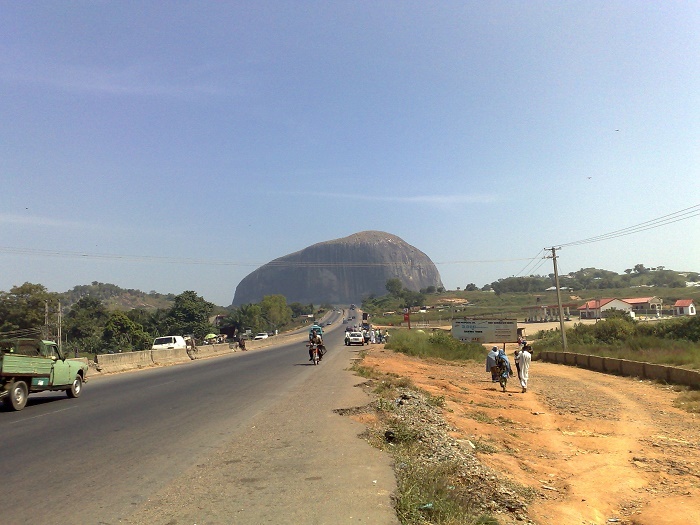 As it rises spectacularly immediately north of Nigeria’s capital Abuja, sometimes is referred to as the “Gateway to Abuja.” Nevertheless, Zuma is depicted on the 100 naira note. 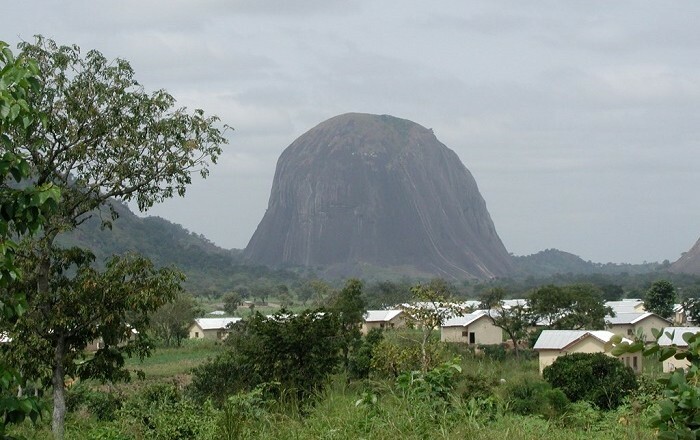 In the past as well, was used for a defensive retreat by the Gbagyi people against invading neighboring tribes during inter tribal warring. 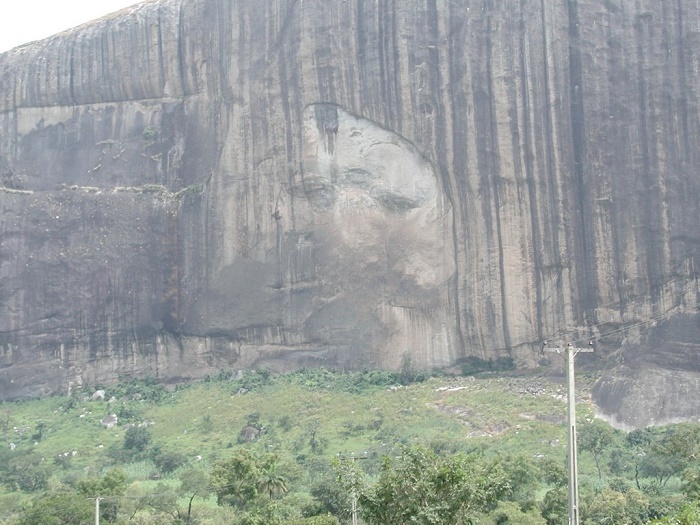 Keen observers say they can recognize a person’s face on the rock, and locals believe that due to the human face, the rock has mysterious powers. 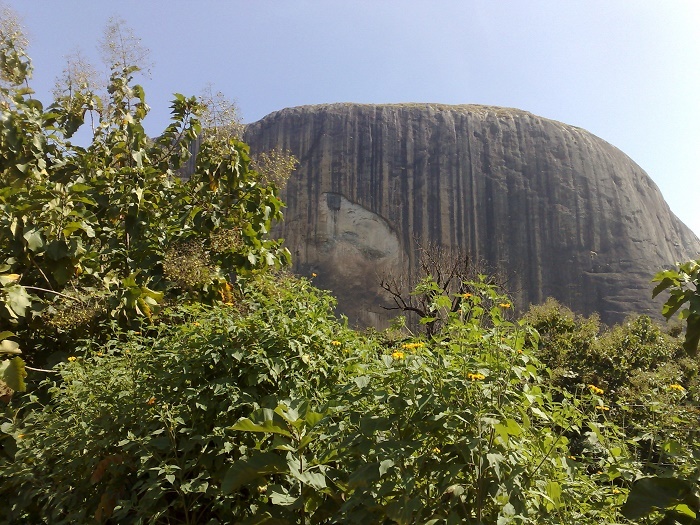 Most of the time it is said that throughout the years, the tourism authorities in Niger state invited foreign investors to develop this area into a tourist attraction. 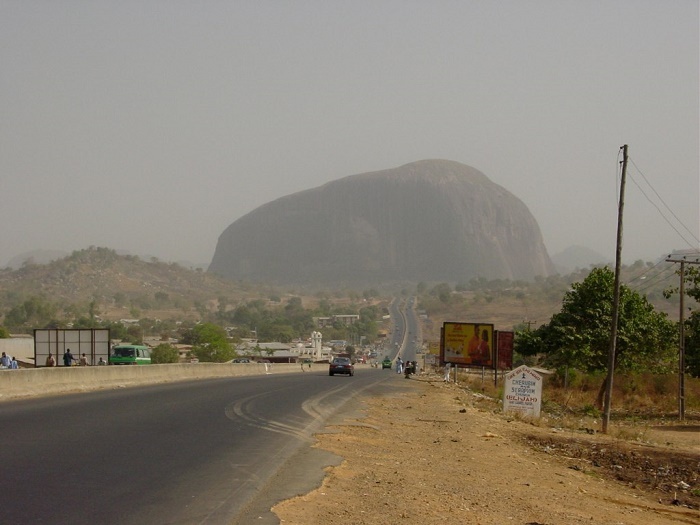 They built a fine hotel near the rock, but unfortunately the business didn’t perform as well as they had hoped. 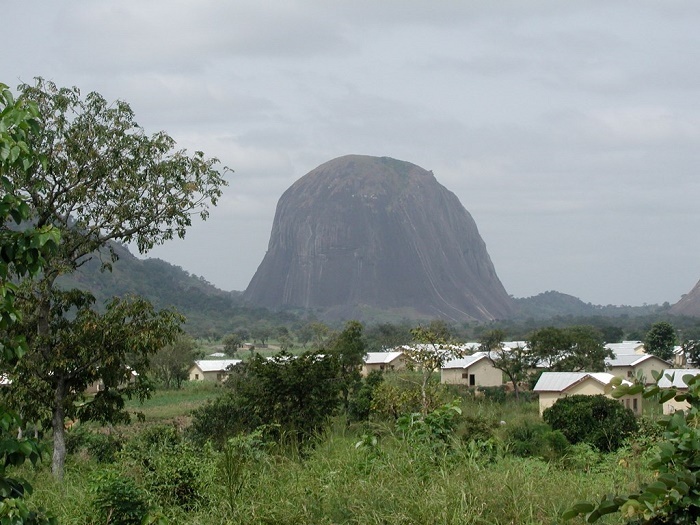 After rumors circulated that there killings occurred in the hotel, the hotel was finally closed. 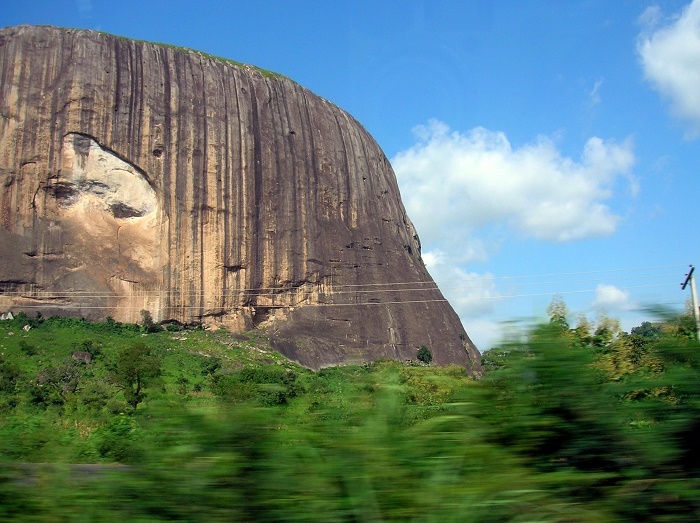 Local people say it was the negative influence of the rock that doomed the hotel. 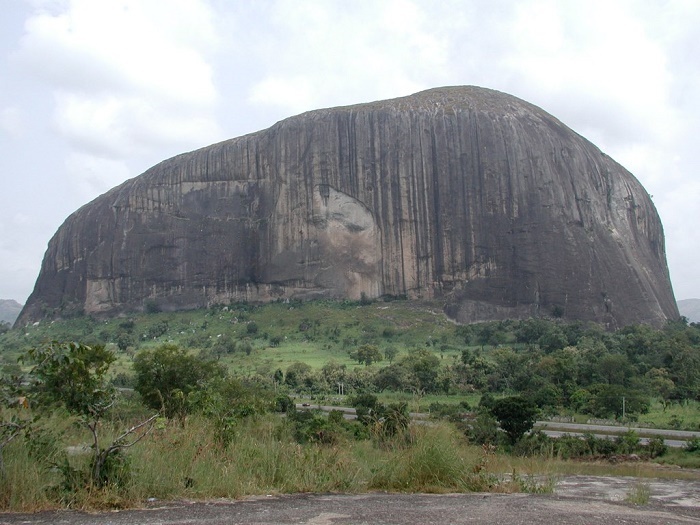 Whether this story is true, or just a legend, definitely something is alluring about this massive rock, which invites you to admire and gaze all day long.